This Sympathy Standing Spray, in shades of peach, orange and white, is a beautiful symbol of your sympathy and support. Peach roses, orange Asiatic lilies, white carnations and more. 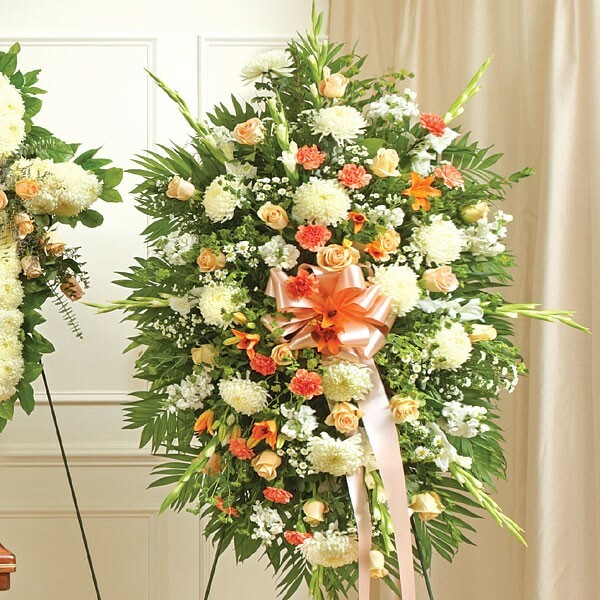 Send sympathy and funeral flower arrangements and plants in NYC from Plantshed.com.